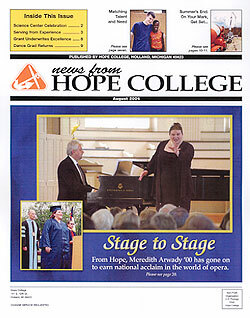 But Sydney learned far more than how to improve her musical skills during the recent Awakening summer institute at Hope College. 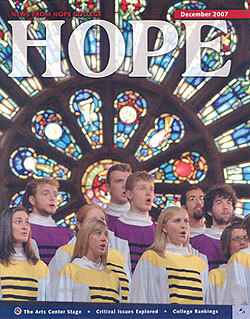 She gained a deeper understanding of her faith and developed skills for leading worship. 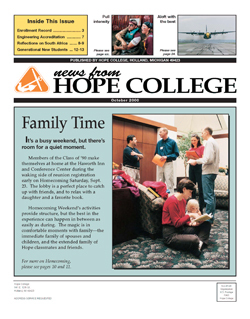 At one point, Sydney led a group of her fellow teens during a 15-minute worship time that included music, Scripture and prayer. 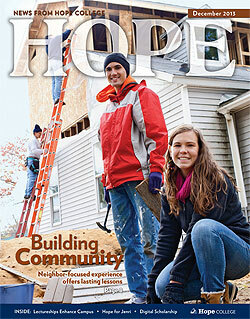 Jordan Dennen ’15, one of the interns for the program and a group leader, marveled at Sydney’s leadership skills. 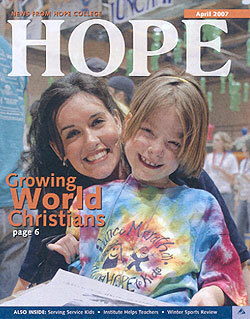 Sydney was one of 40 teens who participated in Awakening, which just finished its second year. The program gives high school students an opportunity to deepen their faith and understanding of Christian theology, with the goal of helping them prepare to take on leadership roles within the church. 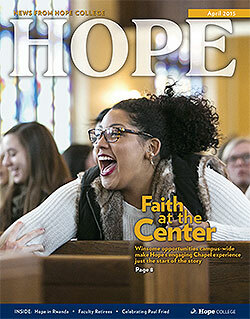 Sydney says the experience expanded her vision of how people can express themselves in worship to God, pointing in particular to watching Dennen and a group of students performing liturgical dance. 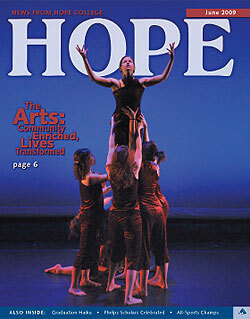 Sydney said she was so inspired by watching Dennen and her students that she encouraged a friend of hers who was also part of Awakening, who had recently quit a school dance team, to use her gifts in worship at their church. 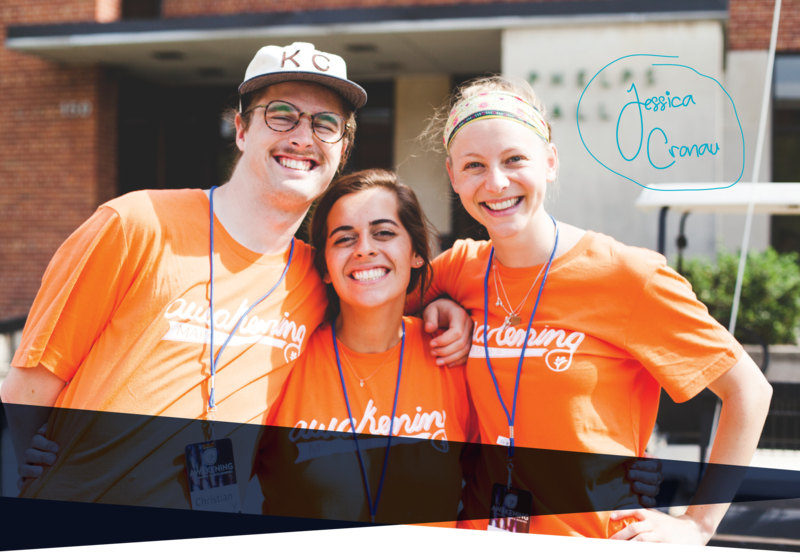 Awakening is funded by a four-year, $500,000 grant through the Lilly Endowment Inc.’s High School Youth Theology Institutes initiative, an effort to identify and encourage future church leaders. 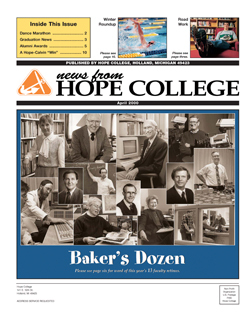 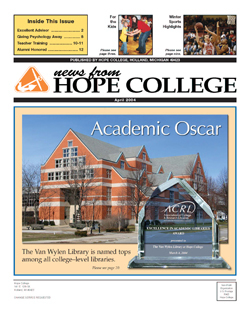 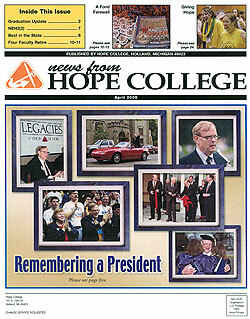 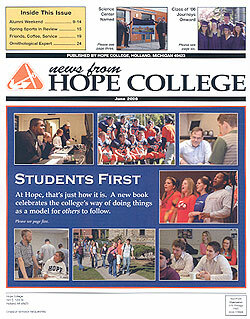 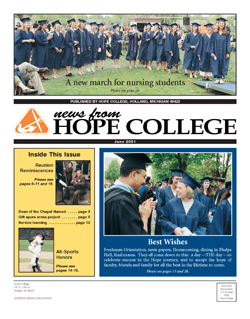 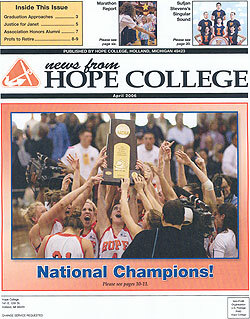 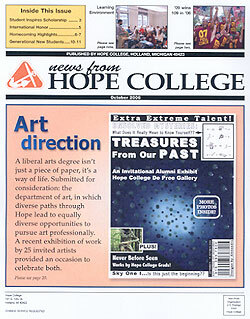 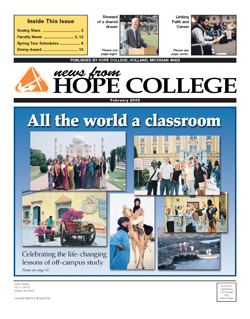 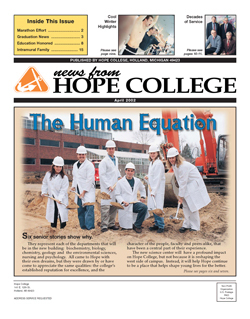 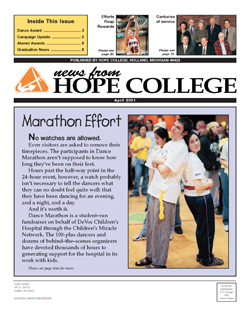 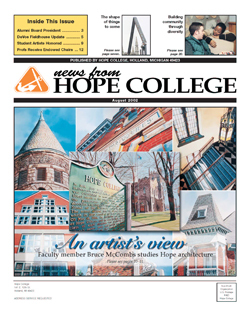 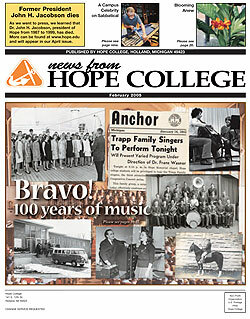 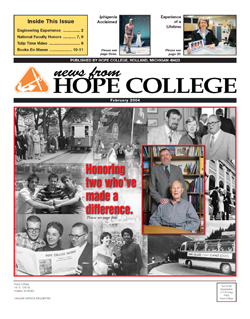 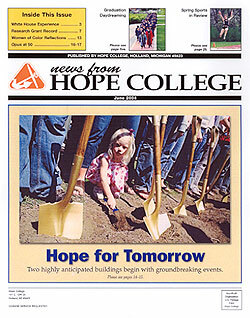 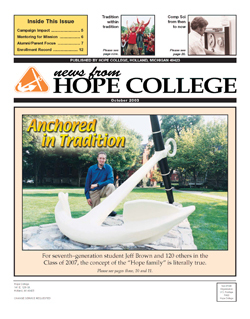 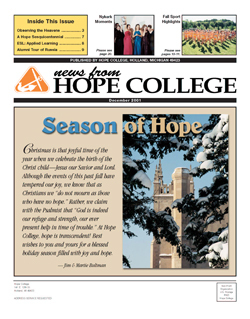 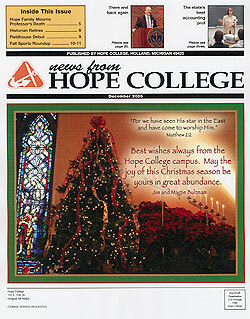 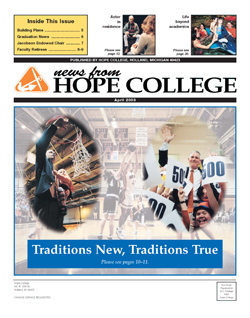 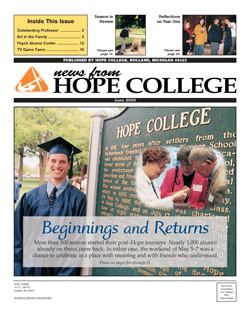 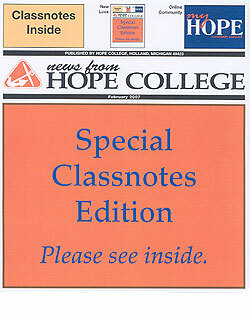 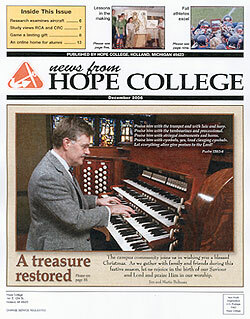 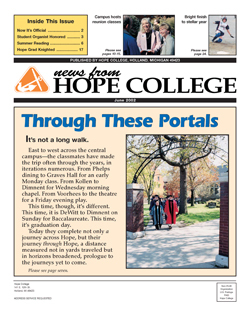 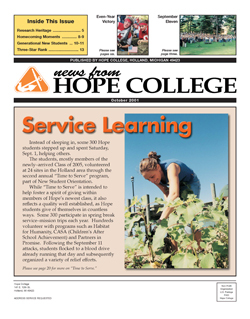 The program combines opportunities to learn greater skills in the various arts — music, dance, visual arts — with the study of Scripture, both in personal and small-group settings, with the idea of giving students a vision of how they can serve others, according to James DeBoer, director of Awakening and an adjunct associate professor of music at Hope. 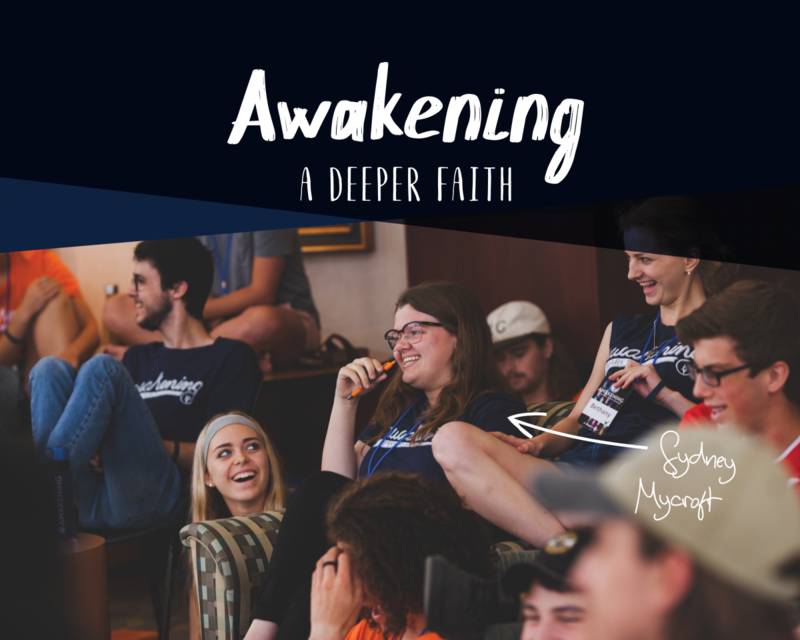 DeBoer says Awakening is one of the few programs of its type in the U.S. that seeks to train high school students to deepen their faith and develop their skills as worship leaders. 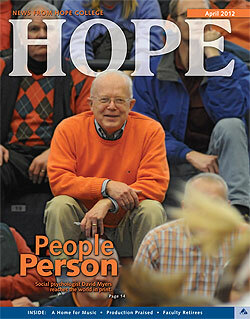 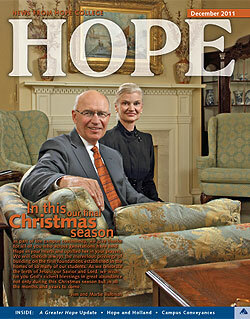 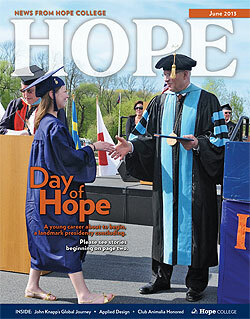 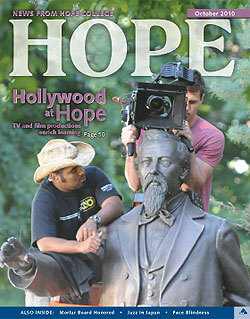 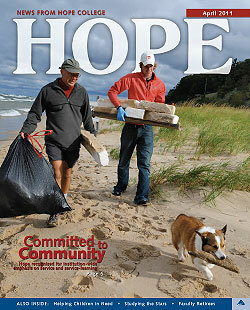 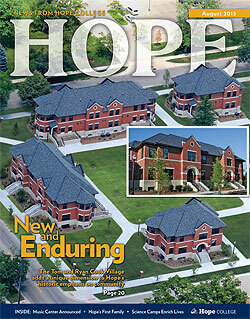 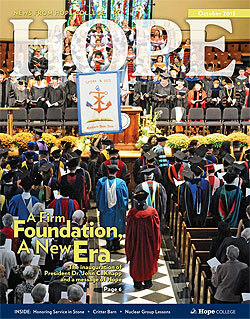 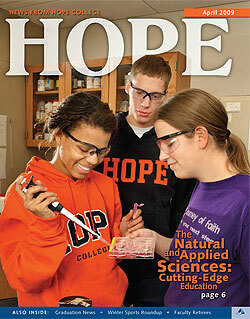 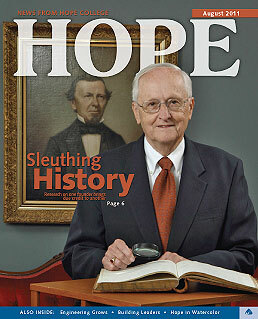 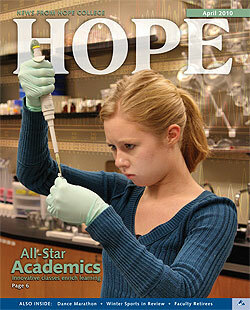 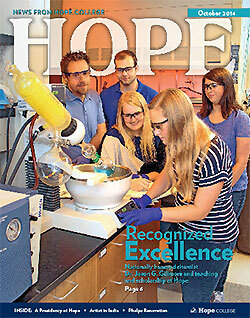 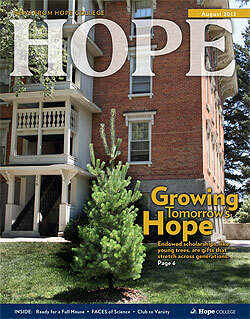 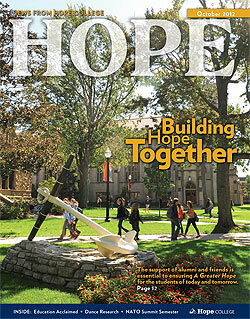 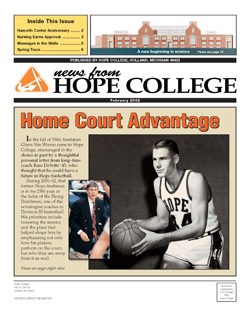 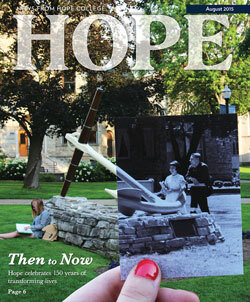 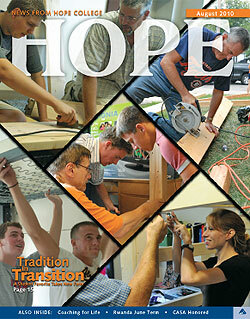 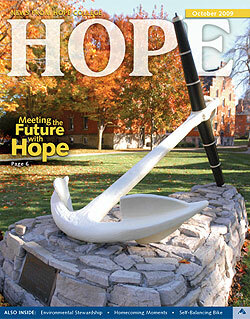 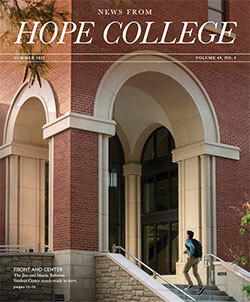 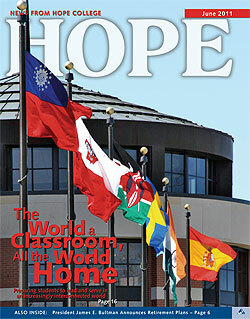 He also says the institute fits perfectly with Hope’s mission for helping students find their purpose in life. 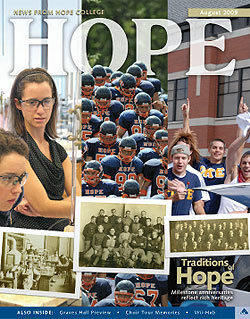 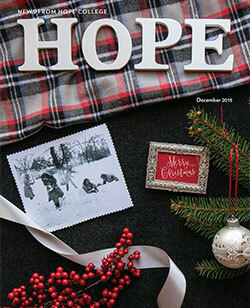 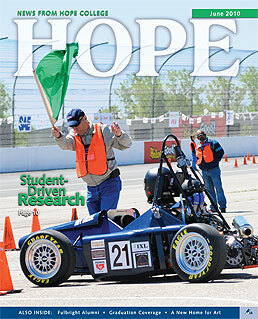 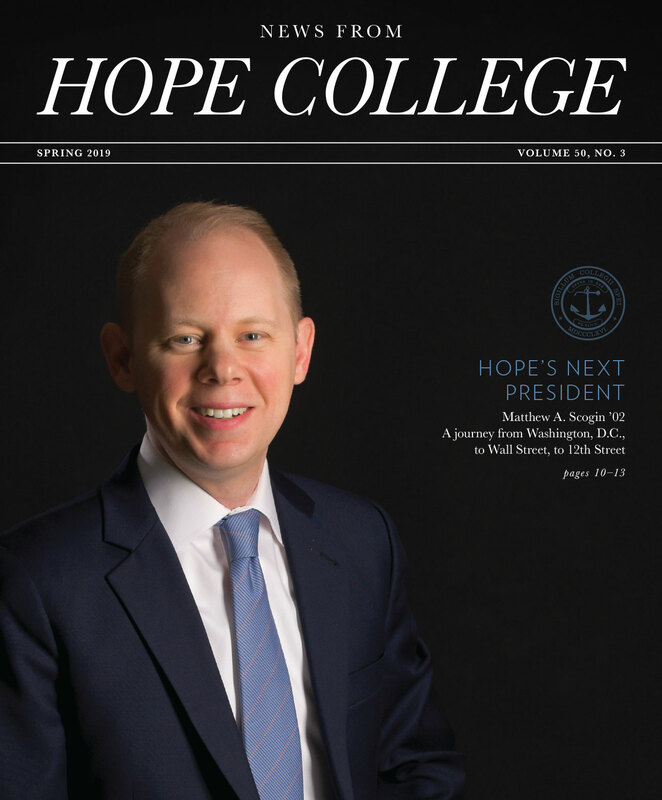 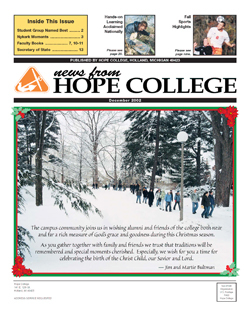 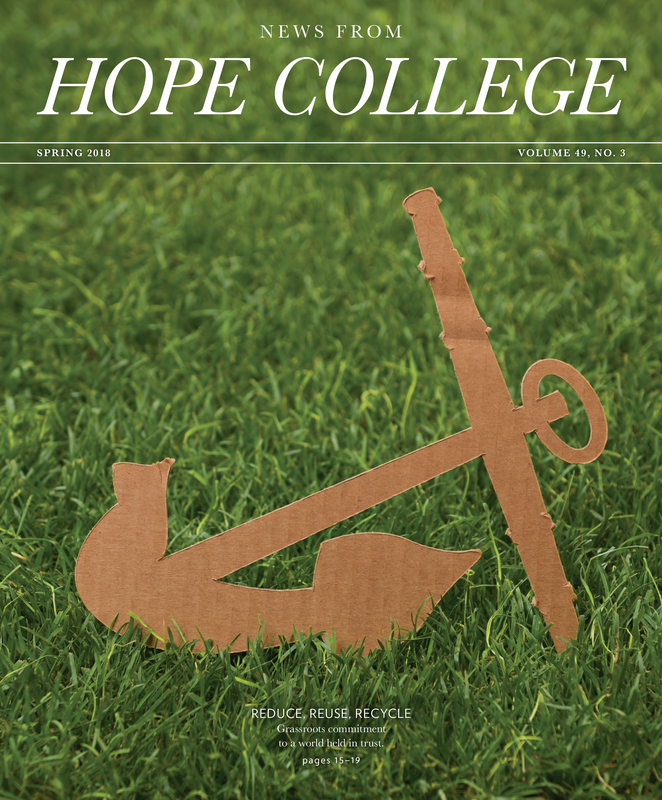 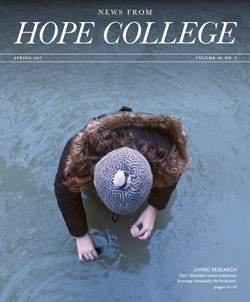 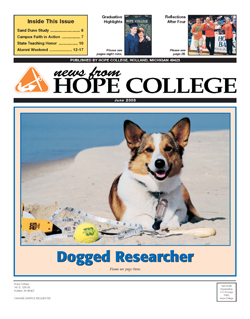 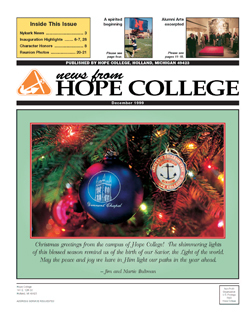 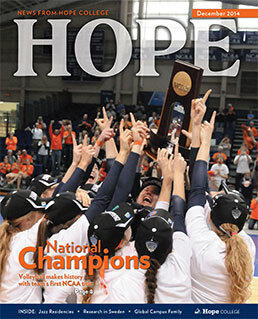 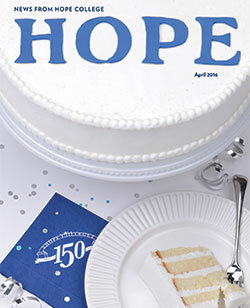 “It fits hand in glove with what Hope’s mission is all about: students undergoing faith formation by finding a pathway for their purpose, goals and passions for life,” he said. 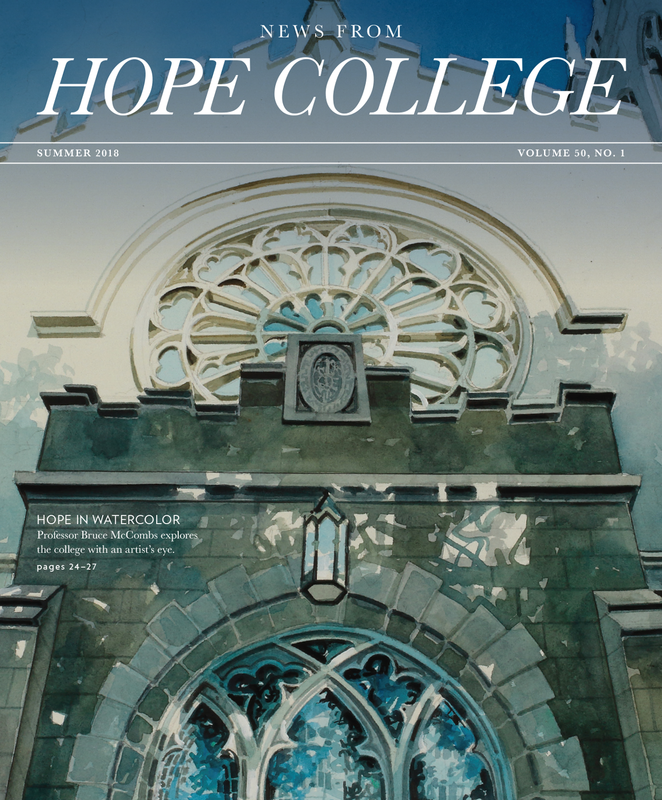 Jessica Cronau ’17, a program intern who graduated in May from Hope with a double major in political science and Christian theology history, says given the trend of young people leaving the church, a program such as Awakening is critical to developing the next generation of church leaders. 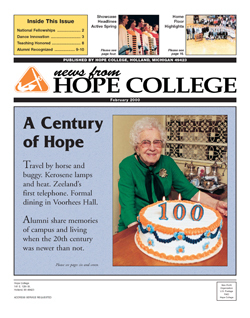 Cronau, who led one of the small groups, was impressed with the spiritual growth she witnessed from the teen with whom she worked. 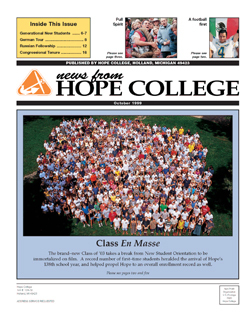 Students who generally did not know each other when they arrived on campus on a Sunday formed close bonds by the time Awakening ended on a Friday. 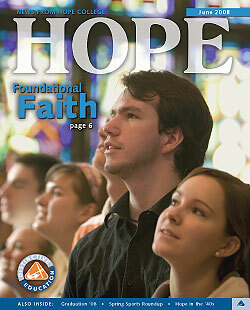 It also caused some participants to look at themselves and their relationship to God. 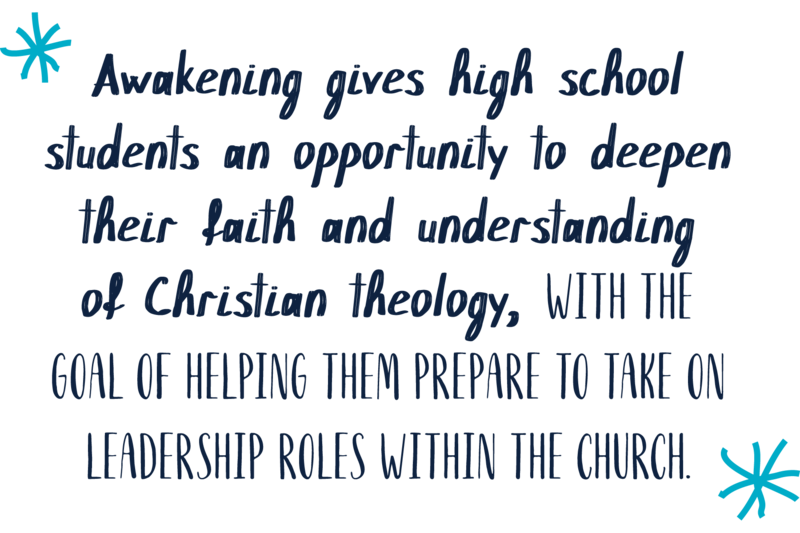 Awakening gives high school students an opportunity to deepen their faith and understanding of Christian theology, with the goal of helping them prepare to take on leadership roles within the church. 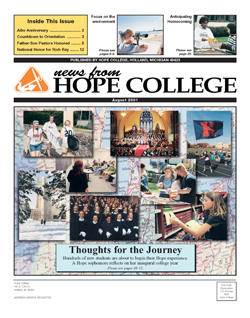 Other highlights from the week included an opportunity for the students to visit several area churches and experience different types of worship settings, from a traditional liturgical base to more contemporary styles. 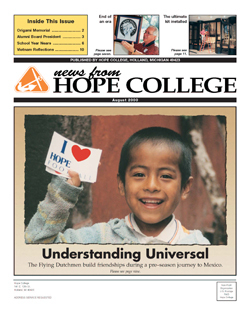 On Tuesday of the week, some of the participants and interns led the opening worship at the General Synod of the Reformed Church in America at Hope. 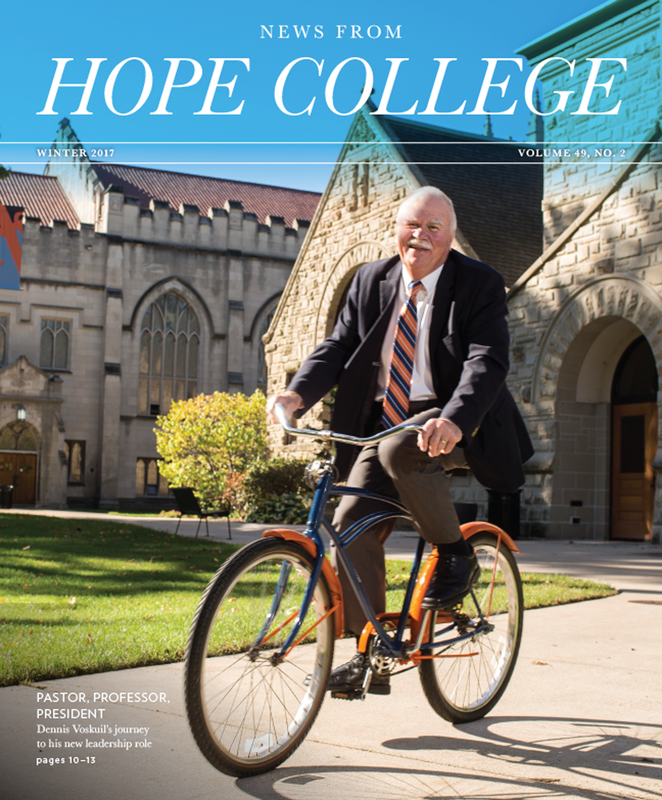 Justin, who has an interest in preaching, had a chance to study during the week with Dr. Timothy Brown ’73, president of Western Theological Seminary, longtime RCA pastor and former dean of the chapel at Hope. 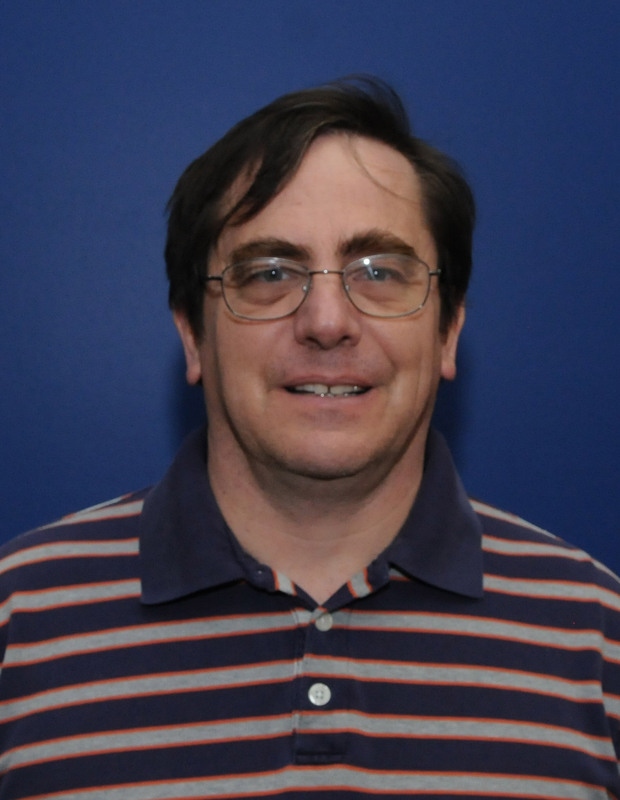 Brown was one of 18 staff members who taught various disciplines during Awakening. 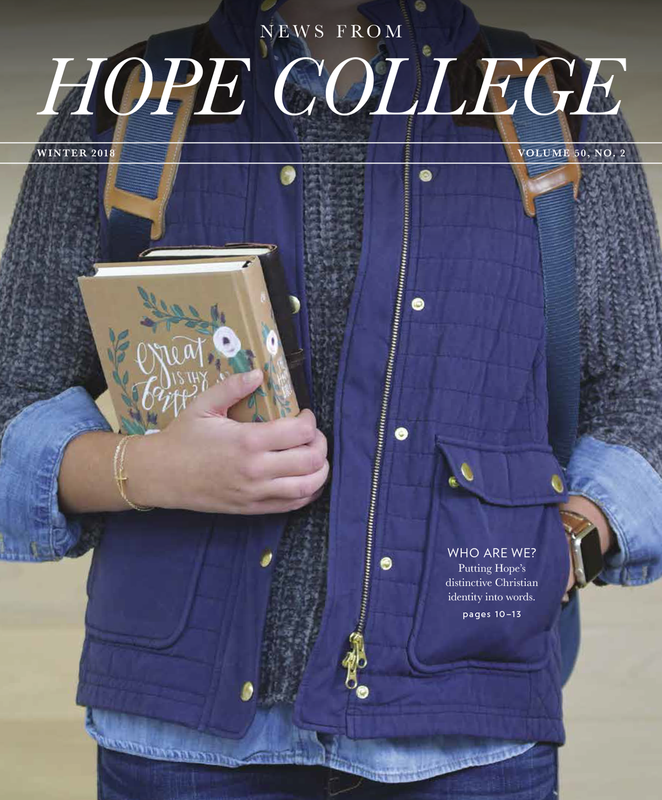 “Students receive world-class instruction in worship, and the community they develop within their small group and with the group at large is quite amazing. 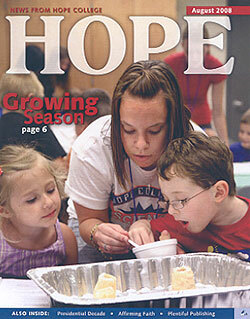 They feel like a family,” DeBoer said. 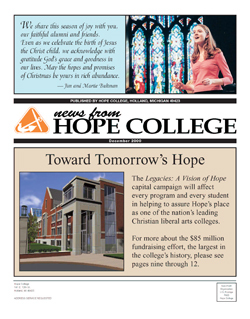 DeBoer hopes that Awakening will continue after the Lilly grant expires in 2019, but making that happen will require additional funding. “Our goal is that it lives in perpetuity, and we are able to find funding to support Awakening so it will continue to grow and develop this next generation of worship leaders,” he said. 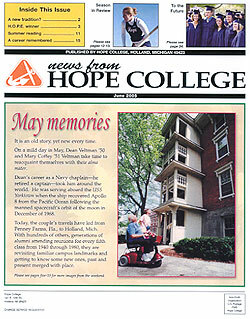 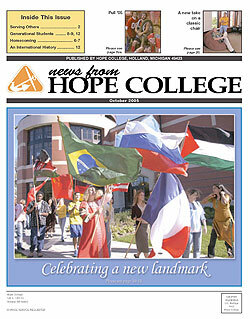 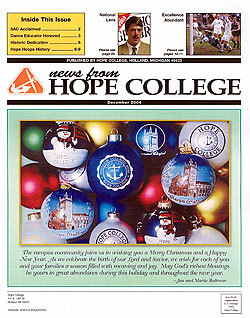 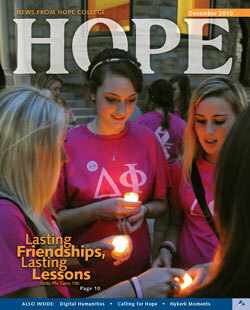 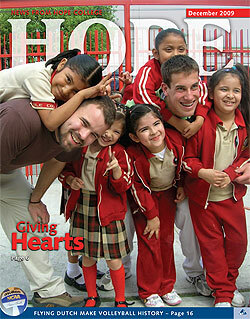 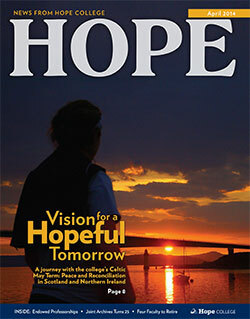 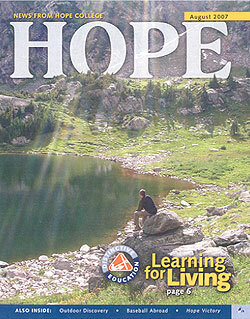 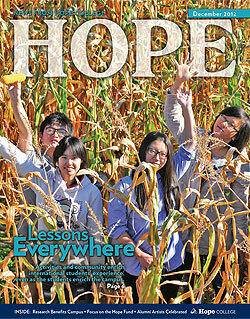 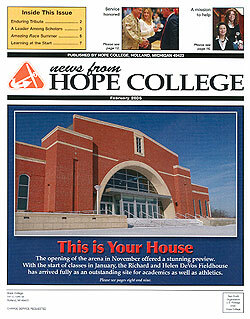 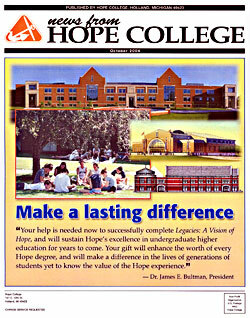 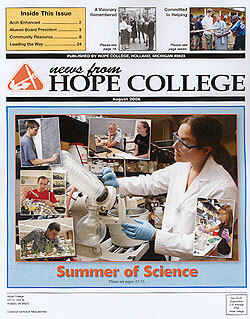 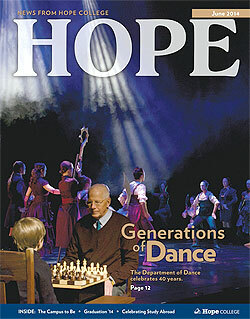 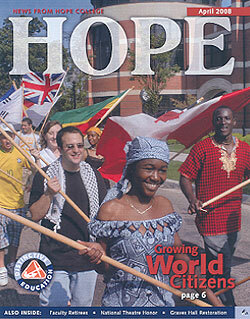 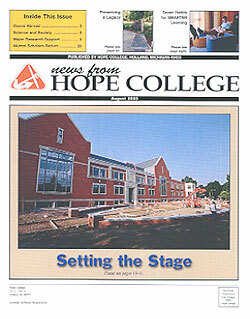 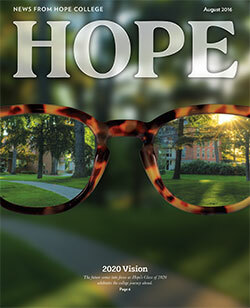 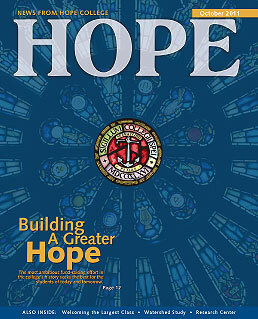 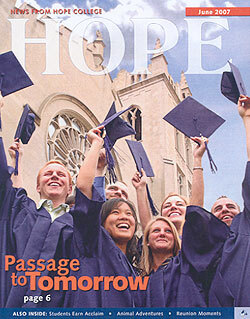 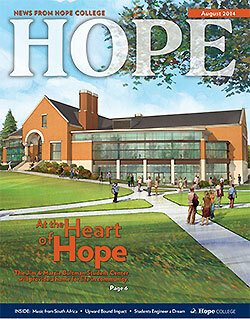 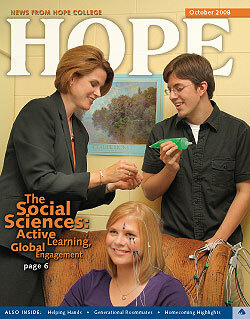 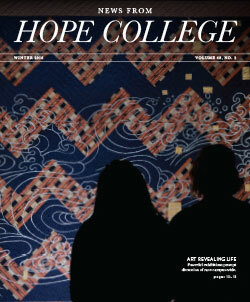 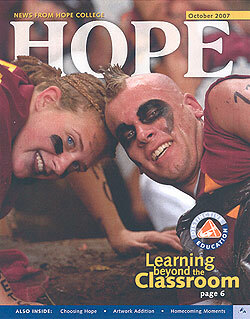 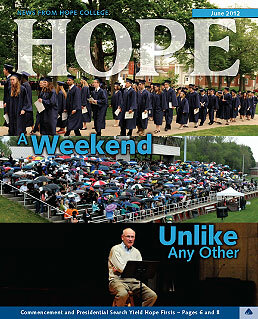 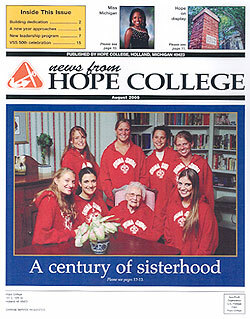 More about Awakening, including a video highlighting the program, is available at hope.edu/awakening. 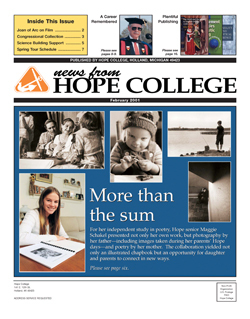 Previous Previous post: How on Earth?